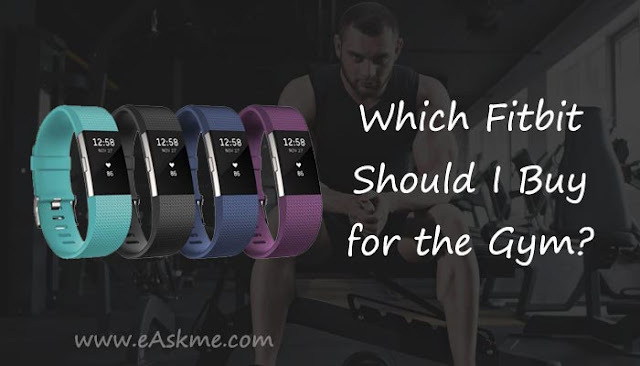 Which Fitbit Should I Buy for the Gym? I can still remember the day I bought my first Fitbit. It was a black band which cost more than my monthly gym membership and it could barely connect to my smartphone. Fast-forward to present day and Fitbit is a publicly traded company with more than 10 wearable devices targeted at different users. It's hard to believe how many variations of fitness trackers they have available and in some cases its quite difficult to tell them apart. As such, I have compiled a comprehensive guide on the top Fitbit devices this year so far. Hopefully my list will help you find the one that best fits your lifestyle. The Charge 3 Special Edition is my personal favorite offering from the Fitbit range. It's design and functionality are well aligned with its price point and I can get Fitbit Pay which I have slowly come to love. Its screen size is a lot larger than the precursor and the higher resolution allows me to monitor my heart rate even in the sweltering midday sunlight. It also works really well when I have a swim and I am yet to notice any issues with its waterproof capability. If this device had a proper GPS system that can function without my smartphone it would be the ultimate fitness tracker. Are you a parent looking for a decent wearable for your children? Well look no further this fitness tracker was made for kids. The Fitbit Ace 2 basically has an identical screen to the one on the Inspire and is wrapped in a colorful silicone band. It does however have a physical home button and the bands can be changed depending on your child's preference. The Ace 2 costs less than its precursor and can be worn by a child as young as 6 years of age, making it very attractive for parents who are still new to the whole wearable craze. In addition to this, the bands and UI can be adapted to the age of your child thereby ensuring that they don't outgrow their device too fast. If you haven't experienced the world of fitness trackers and don't want to spend a considerable sum, then this is the device for you. Its design is quite simple, and the materials used in its construction are of high quality and are quite lightweight. The base model is limited in features, but the HR version does come with a heart rate monitor. You can also swap out the bands to suit your outfit and the physical button on its side makes the small screen quite bearable. This model is the closest offering to the now discontinued Alta. This is a step up from the Inspire and slight step down from the original Versa. It has an aluminium frame that makes it resemble an older Apple Watch and has two less physical buttons than the Versa. Compared to the Versa this device costs slightly less and users won't be able to load their music or connect to Wi-Fi. If music is a big deal for you then this might be a deal breaker but other than that it's technically the Versa. It also has the same battery life, screen size and resolution, a variety of bands and fitness tracking features such as heart rate monitor. There are many third-party Fitbit Versa bands which will fit this device too. Having fewer physical buttons makes it much more appealing than the Versa in some respects. I would love to get one of these. Not only are they cost-effective, but they are also slim enough to allow me to wear my watch without looking out of place. The Flex series doesn't have a clunky screen but still avails all the functionality of the more expensive devices available. As a matter of fact, this was the first Fitbit wearable with a competent waterproof system. You can also swap out the bands and make it look like some sort of jewellery. My only concern is the battery life which I would have hoped would be better. Unfortunately for its price point my worries aren't exactly justified. This device was initially touted as a competitor for the Samsung smartwatch and Apple Watch but never truly lived up to the hype. Its price didn't help either as it cost double what the base model did. Its design isn't as sleek as some of its competitors and the screen is notorious for being a bit unresponsive. The stock band is quite large and always makes me feel like the nerd from high school who had a calculator on his watch. Despite its failings as a smartwatch the Ionic is one of the best fitness trackers on the market. It has nearly all the premium features offered by Fitbit. These include Fitbit Pay, an inbuilt payment feature, true GPS capabilities and storage for your music. I won't mention the app store as there isn't much to talk about. This device is for those who want full Fitbit functionality without compromise on aesthetics. Sometimes I think that Fitbit basically rebranded the same device with the hope that people won't notice. The only true differences are the prices and names. This device is identical to the Alta and has nearly the same features as the Charge 2, but in a sleeker design. The only two improvements made are the additional heart rate monitor and wider variety of bands to choose from. Its other downside is the complete lack of any GPS tacking and internal storage for music. All in all, this device is quite underwhelming for its price. I love my Fitbit, but I can't lie to you anymore. These devices are practically the same. The differences are almost negligible to the average person who wants a simple fitness tracker. The only people who can tell these devices apart are those involved in heavy training regimens and those who are very conscious about looks. If I were you, I'd stick to my budget and spend considerably more on the bands as you can easily swap them out depending on your needs. Other than that Fitbit is selling the same device in different variations.